As best as I can tell, the Russians have had to shift to Franz Josef Land as a alternative, and will likely do so in the future, if they continue the Barneo bases. It will be rough on the economy of Svalbard to lose the tourists, I imagine. I’m not sure what has happened with the tourists this year, or heard anything about the planting of this year’s North Pole Camera. The ice appears to be sound, though there are a lot of pressure ridges. The Barneo site continues to drift south towards Fram Strait. The red line at the top is the “Race Against Time” expedition, which originally was planned to travel from the Pole to Canada. Likely all the delays caused them to back out of that plan, and take an easier route. I find their site a little amusing, for they are stressing how warm the Arctic has been this winter, but describing how the ice is thicker than it was when Mark Wood crossed the same area two years ago. There are many more pressure ridges, which they describe as “boulder fields”. It is no joke hauling sleds over such barriers. It is clear that the ice is thinner in Barents and Kara seas, but largely because that ice has been exported, and crunched over to the Pole. Ordinarily a pressure ridge is too small to be seen in these satellite-derived thickness-maps, as a pressure ridge gets averaged-out, however in the above 2016 map a long curving “mountain range” of ice averaging nine feet thick curves directly over the Pole. In order for this to not be averaged-out, it must consist of numerous smaller pressure ridges, some which obviously would be more than nine feet thick. So far I have been unable to get a good view of this feature from satellite pictures, due to clouds. It curves all the way down to the area north of Greenland’s northeast corner, and is likely bound for Fram Strait. 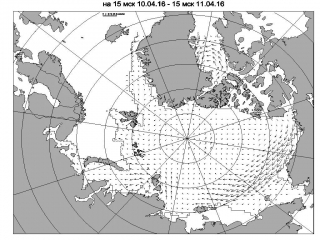 Ice is pushed closer to the northwest corner of Svalbard this year, and likely is chilling the tendril of the Gulf Stream that enters the arctic there, as it is melted. The Polynya northwest of Alaska is larger this year, as are the polynyas along the North Slope coasts of Alaska and Canada. The ice missing from these areas has largely been swept over towards East Siberia, which has thick ice piled up on its coasts, and thicker-than-last-year ice out to sea. This area will likely be slower to melt this summer, especially as the Pacific seems colder. It will be interesting to watch the Laptev Sea in August, when the freshwater floods from the Lena River reach their peak, as the floods will likely be greater (and perhaps colder) this year due to deep snows inland in Siberia. These surges of fresh water have a big effect on that coast of the Arctic. One feature I watched last summer I dubbed “The Slot”, north of Alaska. A feature-of-this-feature was “The Reef”, which formed The Slot’s southern edge. This never completely melted away, as it originally consisted of some huge pressure ridges, and I’ve watched it all winter as it was swept around all the way to 160 degrees east longitude. It likely forms a considerable pile of ice-chunks over there. The ice north of Siberia is by no means flat “baby ice”. It is a pity we lost our two O-buoy cameras that were over that way. In order to have all the ice piled up towards Russia it needed to be exported from the Beaufort Sea, which the satellite views show as being crisscrossed by a web of leads and frozen leads, some quite wide, and some frozen-over quite thickly. That sea’s water has been losing heat all winter through these leads. O-buoy 13 continues to be swept east north of Alaska, and pictures a cold and windswept scene, with temperatures showing a diurnal swing between -10°C and -15°C. O-buoy 14 is further east, has finally melted its lens free. We were lucky to not lose this buoy over the winter, as a small pressure ridge grew right at its feet. Note the Mass Balance buoy tipped (and likely not reporting) to the lower right. This should be a very interesting summer, as the El Nino is rapidly fading, and cracks of blue, below-normal water are already showing up off the coast of South America, indicative of a La Nina coming on. The North Atlantic is cooler, and “The Warm Blob” is largely gone from the North Pacific, (though some residual heat from the El Nino may be heading north past Japan). There will be a “lag time” before any La Nina coolness effects the Pole, but the Scripps model is showing an absolute whopper of a La Nina. Likely it is overboard, and things will not be this extreme (for it would set records) but usually Scripps is a fairly decent model, and the situation does bear watching. I was laying in bed last night contemplating customers, carrots and other things I’m suppose to consider, during the spring on a Farm-childcare, when sea-ice came drifting through my consciousness. It’s usually a sign sleep is creeping up, and worldly worries are melting away. Last night it led to some delightful, dazing dreaminess I doubt I can fully replicate, but which show the complexity of even a thing as simple as water. Yesterday I was briefly discussing how a tendril of the Gulf Stream, coming north, for a time rides at the top of the ocean, but then takes a dive under the colder waters. For a time it is less dense than surrounding waters, but then it becomes more dense. This occurs because there are two variables involved. First, there is temperature, and second, there is salinity. The Gulf Stream is more salty than surrounding waters, because it was subjected to a lot of evaporation down in the hot tropics before it came north. Salty water wants to sink. However the Gulf Stream is much warmer than surrounding waters. Warmer waters want to rise. An analogy is needed. Imagine the water coming north is a bunch of hot air balloons. As long as the air in the balloons is hot, the balloons remain high, but gradually they cool, until they reach a momentous occasion where they take a dive. It is a simple enough thing to model this on your multi-million dollar computer. First you need to loot the wallets of drained tax-payers, and then you convince the government to print up some extra money. Easy as pie, when you are falling asleep and in a dream world, but I find it easier to command the non-virtual reality in dreamland, and to model the two variables outside computers in the fresh air. Instantly Fram Strait is experiencing complete calm. What’s more it has been doing so for weeks. The Gulf Stream, coming north, does so in a glassy stillness, and the point where it dives beneath colder water can be seen by the way sea-gull feathers drifting north in the current come to a halt. The waters to the north are still, even stagnant. IE: In dreamland we have simplified things to a degree where slowly moving water is sliding beneath still water. If course we can’t have water coming in without water going out, but let’s have that happen someplace else, so it won’t mess up our dreamland model. Also, of course, you can’t have a fluid in motion moving past a still fluid without this annoying thing called “turbulence” making little whirls along the boundary, like little storms along a front. Fortunately our dreamland model has a “mute” key that dampens that stuff away. In the end we have a nice simple scenario. Now, as we slip deeper into dreamland and our brains gain super-powers, let’s have a little fun by adding another variable or two. Let’s reduce the amount of warming due to sunlight, as winter comes and the sun sinks low. Or let’s chill the air. This cools the Gulf Stream tendril coming north more quickly, so it reaches the magical point where salinity trumps heat five miles further south. Oh oh. Problem. If the water sinks earlier, the completely static water which it is sinking under has to move, doesn’t it? Doesn’t it have to move south to fill in the space above the sinking water? Or suppose we change the salinity of the Gulf Stream heading north. How? How about a tropical storm dumping a foot of warm rain. Now the tendril wants to come further north before sinking. Would not it plow into the static surface water, and make it move? But how about both chilling the water and reducing the salinity? How are we going to manage that? What’s that you say? Why don’t we redirect all the sea-ice heading south along the east coast of Greenland, in that cold current, and push it across Fram Strait into the warm current heading north? That will both cool the northbound tendril of the Gulf Stream, and make it less salty, you say? Funny you should say that, for that is exactly the scenario we were looking at yesterday, as vast amounts of ice were melted just west of Svalbard. Ordinarily it is at this point I get a headache, but when I am falling asleep the implications have a nice way of knocking me over the brink into unconsciousness. Sort of like an uppercut to the jaw. As I pass out, I am usually pondering one of three things. First, if you cool the water heading north, and lower its salinity, how will this effect the melt from beneath to the north? In Theory, if you dumped enough ice into the northbound water, you could so cool and so dilute the current that it wouldn’t be all that different from the water to the north, and could skip the bother of sinking beneath it. What effect would that have on surface currents, and submarine currents? Second, how many more buoys will the taxpayers allow before they come with burning torches? We don’t need a mere string of buoys across Fram Strait. We need north-south strings. We need surface reports and reports at depth, so we can have a 3-D picture of the daily fluctuations of temperature, salinity, and the speed the water is moving, like the weather-maps we get for the air above. Usually thinking about all this is quite enough to cure insomnia. If necessary, you can add another variable: Wind. A strong wind can move surface water. What effect does a cold north wind have on a current coming from the south? Do you have a current heading south at the surface even as it heads north deeper down? Oh oh. Time to hit that “mute” key again, as I see turbulence rearing its head. I have a vivid memory, from back in those pre-satellite days, of attending a class held to make the general public more aware of beach erosion and why we should alter our attitudes about where we built marinas and beach houses. It was taught by a knowledgeable young scientist, and in the audience was a garrulous old fisherman. For some reason the subject got off the topic of beaches and moved out into the Gulf Stream, and at that point the fisherman began to talk about “warm whirlpools” and “cold whirlpools” and how he’d use them to hunt the best places to fish, and the young scientist rolled his eyes, as if the old man was talking nonsense, and finally the young man cut the fisherman off, making it obvious he felt the man was inventing tall tales. Later I always wondered what the scientist thought, when he saw the first satellite images come in, showing exactly what the old fisherman had described. Perhaps it is for this reason that I, meaning no disrespect to scientists, am less than certain the map below is fully accurate. The thing I am watching for are the changes fishermen described the last time the AMO shifted from “warm” to “cold”. They were dramatic. In any case, I highly recommend thinking about this stuff next time you have trouble sleeping. In more mundane matters, The DMI maps continue to show the high pressure over towards Bering Strait, and the low nudging toward the Pole, but weakening. I’m worried they may have had troubles with the airstrip at Barneo, as there have been no reports since the 18th. You can see the ice is “active” across the Pole in the NRL “Speed and Drift” map from yesterday. This map also shows ice is likely moving away from the northwest coast of Hudson Bay. In terms of the Northwest Passage, the western approach looks like it is opening up nicely, with ice moving away from the coast of Alaska. However the ice in Baffin Bay seems to be being crammed north into the eastern approaches. Lastly, it looks like ice continues to be exported to the “wrong side” of Fram Strait. Lastly the “Race Against Time” expedition has been reporting struggling over a lot of pressure ridges as they approach the Pole from the Russian side. Mark Wood mentioned the ice was much flatter when he skied the route two years ago. At last report they had crossed 89 degrees north. Unfortunately they only report by satellite phone, without pictures. After yet another crack shortened yet another runway, the Russians cleverly extended the far end of the runway and are back in business up at Borneo. Care to spend $20,000 to run in a race? I have to admit I do enjoy the shenanigans of people up there. It does seem a bit outrageous that some have such extraordinary amounts of money to burn, but it also seems like a form of reverse-snobbery for me to get too high and mighty, and to disapprove of it. One needs to be careful, because it might be jealousy one is feeling. Often our lower side likes to pose as a virtue, like a coward posing as a pacifist. Suppose it was playful otters I was watching, sliding in the snow. Would I fume and fret about them making better use of their time? Is it nonsense when people have fun? Express joy? Dance? Sing? I know a fair amount about this mindset because, back when I was in my early twenties, I tended to have big dreams that crashed and burned with dependable regularity, and then would spend time getting my act back together in my Mom’s basement. There was something humiliating about “living with Mommy”, even when I paid my share, and even when nobody mocked me I felt defensive and prone to counter-attacking. Some of my worst writing dates from those periods, and it is because I wrote like a petty judge with a petty gavel. There is something nonsensical about offering wisdom when you are unwise. It seems adolescent, and perhaps explains why protesters are so often students. This is not to say food riots are not justified when you are starving, but too often the people protesting and judging and sentencing others to punishments have no real reason to complain. They are just spoiled, and feeling vaguely guilty about “living with Mommy”. Even if they aren’t living with their biological mother there is something about their lives that makes them feel ashamed, so they counter attack. The oddest thing is to lurk at Alarmist sites and see how they seize upon the slightest things to justify their belief we are seeing the “Death Spiral.” Some of the things they dig up are so obscure they are actually fascinating. For example, one fellow was going on at length about how “warm” ice is less strong than “cold” ice. Not that he listed temperatures taken of the ice a foot down this year, as opposed to other years, but the strength of ice at various temperatures did make for an interesting topic. The only problem is that we have pictures like this one, from 1987. Can you imagine the trouble the Russians would have had building an airstrip in 1987? Not that they wouldn’t have been able to find a pan of more solid ice, somewhere away from this site, but this picture does make much of the current fuss made by certain Alarmists look silly. Why? Because, in order to make this year look like “the worst ever” and part of a deteriorating “Death Spiral”, they have to see conditions this year as being “worse than” 1987. In essence they have to ignore melting where it is, in 1987, and see it where it isn’t, in 2016. To me this seems nonsense. In some ways this nonsense is more interesting to watch than a North Pole Marathon, but it seems to be much less fun, for the people doing it. At times they seem so miserable I fear they may be contemplating suicide. Unfortunately the ice-melt should be fairly decent this summer, due to the after effects of the El Nino. This will only encourage Alarmists to fret and worry more. What they need is what will likely follow, as a strong La Nina sets in. The only thing that will end their nonsensical pain is such a growth of sea-ice that their worry seems absolutely impossible. That will be like the bullet that puts a horse out of its misery. Expanding sea-ice will then end the nonsense and be an example of nature’s kindness. It’s the only merciful thing to do. As a lurker on Alarmist sites, I am well aware of how even decent fellows like “Neven” have begging bowls like Hindu Sadhus, called “tip jars”, pleading for money, beside the headlines of their sites. Therefore I do not understand their scorn of others who also could use a bit of jingle after bingle. After all, if you want to reap what you sow, you sow on brown earth. Only fanatics like myself care about sea-ice. To expect a profit from such fascination is, shall we say, a wee bit delusional. If you you sow on sea-ice, you will reap what you sow, and it ain’t much wheat. The Russians have found a way to profit on such delusion, by bringing tourists at between 20 and 40 thousand a whack up to freeze their posteriors off and receive a genuine certificate that they were at the fabled North Pole. As far as I can figure, tourists pay this huge amount because they think the North Pole will melt. 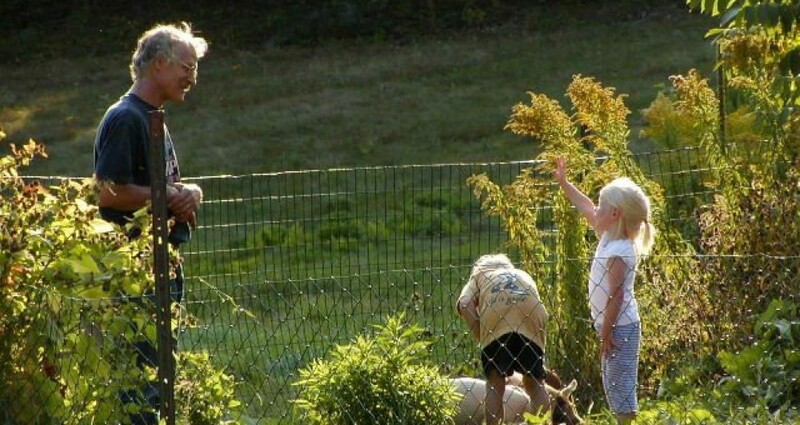 They figure they may be the last to see it. I’d like to inform them that, if the ice melts, people will be able to see the Pole a heck of a lot more cheaply, by boat. Considering sea-ice is worthless, people like myself (and “Nevin”), have been suckered by such spurious reasoning, though not to the degree we will pay actual money. We pay with time, (and some say “time is money”,) (but if that was true I’d be rich.) “Nevin” actually thinks he should be paid for his fascination with the spurious, but I don’t. That is why he has a “tip jar” and I just have a sense of shame, and think I should grow more food, rather than post about idiotic sea-ice. However an attribute of humans is that we all have our mortal failings. Some drink, some smoke cigarettes, some cheat on their husbands, some are mass murderers, and some fuss about sea-ice. I am of the latter. I think I have become addicted to sea-ice because of the sheer insanity involved. A bit of lurking on Alarmist sites allows you to listen to people sneering at Russians catering to tourists for a mere 20 million dollars, even as they hold out their begging bowls for mere spare change. Meanwhile they talk with great authority about the sea-ice the Russians are dealing with as being “warm” ice and “rotten” ice and “thin” ice, as the Russians, for the mere trifle of 20 million, battle ice that doesn’t appear to be exactly as Alarmists describe it. It does appear the Russians (with no help from Norway), actually will open an airport on the ice, but I ask you, using your lying eyes, to tell me if the ice they are fighting looks “warm” or “rotten” or “thin”. The data so-called climate scientists utilize does verify the definition of “spurious”, and if this post was aimed at charts and graphs, I could include some to prove my simple and obvious point. However I prefer to stick to the simple. There are times a picture is worth a thousand words. The Alarmists have been going on and on about how the North Pole will be ice free. They dislike the fact our lying eyes can see the Russians working very hard to land heavy jets on this ice-free Pole. They prefer their personal blindness, and the light is too blinding. (This is known as “snow-blindness”.) But what really bugs them is the fact that the Russians work really hard, (when most Alarmists don’t know a thing about grunt-work), and the Russians make 20 million from hard work, (when Alarmists are dependent on “tip jars”), and, last but not least, and most infuriating at all to Alarmists, even when the sea-ice is five feet thick, the Russians have fun, and to Russians fun means relaxing. As a general rule, Alarmists seem to know too little of grunt-work or relaxing. They could use a bit of education from the Russians. The “active ice” in the area near the Pole continues to crack the flat areas where the Russians have been attempting to put in blue-ice airstrips. It is stressing the already stressful, tight schedules, that all who operate at Barneo work under. There is a narrow window, basically April 1 to May 1, when conditions are considered “safe” for the hubbub of activity. The tourists who spend atrocious amounts to spend an hour at the North Pole may be worth poking fun at, but the support-crew who make such vanity possible are amazing, and deserve respect. They work under brutally harsh conditions. This year they’ve been working harder than ever. A hint of the effort leaks into the (translated) report below. In the morning it was received bad news from the Barneo ice camp. On the new runway, is not made until the end, there was a crack width of 10 cm. The water did not come out of it. Apparently, the area district is necessary to change the construction of the new runway. Helicopters made a flyby in search of a new ice floe. This operation has been spent more than 5 hours. They flew out of the 67 meridian east in the western hemisphere through the North Pole. We got to 40 minutes. Ice does not. Out of 150 east longitude meridian, reached 89 degrees north latitude. Ice does not. We returned to the base. Victor Yatin said that everywhere crushed ice, flood, river. A anticyclone left. Blowing east wind of 8-10 m / s, snow, blizzard, visibility is zero. The search for an ice floe preostanovleny to improved weather conditions. Fly helicopters can not yet. Temperature * -24. It was decided to do reset with diesel fuel, industrial oils and products. The second landing is the tractor when the helicopter pilot would find a new location for the construction of the strip. From Moscow to Tver moved to the platform, which assembled last night. By the morning of the IL-76 will deliver them to Murmansk, where they will load and, weather permitting on Borneo, the evening desantiruyut. We are lagging behind schedule, because the AN-74 is not able today to fly from Longyearbyen to Murmansk towards IL-76. Starting this year, the Norwegian authorities have tightened rules for obtaining a permit for departure from the country and arrival. We are waiting for the start of tomorrow’s working day for permission to take off from the Norwegian authorities. I have a feeling certain “Norwegian Authorities” could be subject to repercussions, especially if they cause the Barneo base to be cancelled this year. Russians remember. It is interesting that the Russian expert speaks of a “jet” of sea-ice. That is a new concept to me. The article contains a current map of ice movements, and forecast maps of future movements. The ice looks like it should calm down by April 10. I expect the motions of the ice will be called proof that the sea-ice is thinner and Global Warming is occurring. To me other explanations seem possible. If I have time I’ll go into them later. This looks more like the formation of a “pressure ridge” than the opening up of a “lead”, which means, (if one wants to get into semantics), that the problem is that the ice is getting thicker, not that it is thinning out. It seems every available hand is working on the new runway. These problems explain why some Russians are pushing for a sort of sea-ice aircraft carrier to be built. (It wouldn’t need to be all that much larger than some their humongous ice-breakers.) If such a beast-of-a-boat was built they wouldn’t need to bother with the fickle nature of sea-ice. Below is a recent picture of an area where, rather than pressure ridges forming, leads are forming. In some places the ice is converging (pressure-ridges) and in other places it is diverging (leads). Both events are the status quo within what is, after all, an ocean, and always in motion. It also should be noted that even after the sun rises air temperatures have been recorded down near minus 40 (which is the same both in Fahrenheit and Celsius) so the new leads swiftly skim over with ice, because the exposed water is right at the freezing point. In the picture below new, slightly skimmed and skimmed-and-snow-dusted leads can be seen. Correction—The above picture is from the Barneo Facebook page, and, because it is beside a picture of a chef in the Barneo kitchen from two years ago, it may also be from two years ago. I apologize for saying it was “recent” when I am in fact unsure when it was taken. If you look at the above map at the site of Barneo, above the Pole, you can see the ice is slowing down. Light blue is turning to darker blue, and longer arrows are running up against shorter arrows. It may be helpful to think of traffic during a rush hour, and what happens when fast traffic comes to slower traffic, but imagine the bergs have bad drivers and no brakes. Pile-ups are occurring, called “pressure ridges”. All in all, the ice is actually getting thicker. Forgive me if this is boring, but I feel a need to educate the public, which is at times being grossly misinformed by sensationalist branches of the media. You may see pictures of open water and be told it is due to CO2, when it is in fact due to the wind. Then you may see pictures of thickening ice and hear it is due to a coming ice age, when in fact it is once again due to the wind. Once you are educated to the true nature of the sea-ice you escape the attempts of the media to milk you as a chump, and can instead laugh at their pathetic attempts to bolster unsubstantiated politics with feeble propaganda. In doing this you will honor the belief our forefathers had that an educated public is a good thing. I should add that, because winds can swiftly change in the arctic, the above map can change swiftly. Converging ice can become diverging ice, and then converge again. The Arctic Sea is an ocean in motion.